Western Pine 17" Outdoor Logs Designed specifically for the outdoors, these logs have a weathered look of Red and Brown and they develop a glow where the flame is hottest. 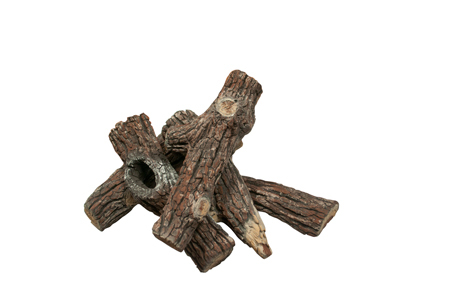 5 Pc Wester Pine Outdoor Log Set is perfect for the 18" and 19" Fire Pit. Logs measure 11" - 13" in length.